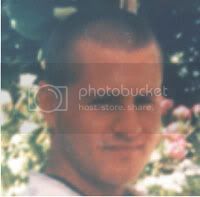 William FRENCH (Maddison) was last seen on the 15th of November 1997* in the Duncraig area. It is believed that on the 17th of December 1997 he was in Kununurra intending to travel around Australia. Despite extensive inquiries by Police and family there has been no information regarding his whereabouts since then. William, who preferred to be called Maddison was last seen in Perth on the 15th of November. On the 17th of December, 1997, Maddison telephoned his girlfriend from Carnarvon, Western Australia, stating that he intended travelling around Australia.